With modern welding equipment we provide for you argon-arc (TIG) and micro plasma welding techniques on material thickness from 0.1mm to 10mm for Ultra-High and High Vacuum Systems and within the semiconductor, food and pharmaceutical industries, etc... All welded assemblies are helium leak tested and guaranteed to be leak tight at 10(-10)mbar l/sec. 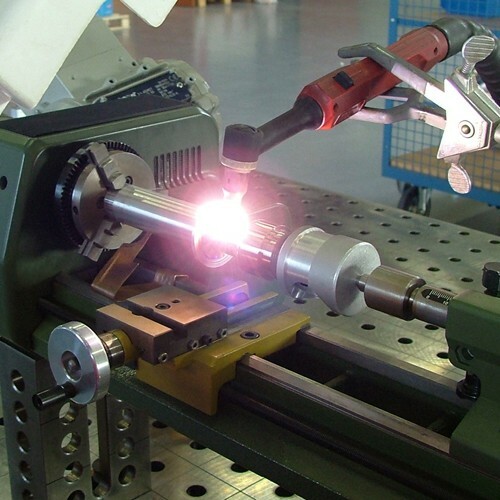 With this laser-beam welding process Hositrad has added a new welding technology to its existing welding program. 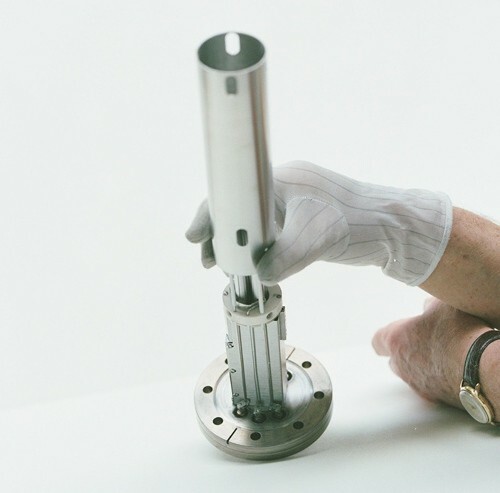 We are now able to combine this technology with the production of special vacuum parts, welding feedthroughs on special flanges, but also applications of medical technology and spotwelding. 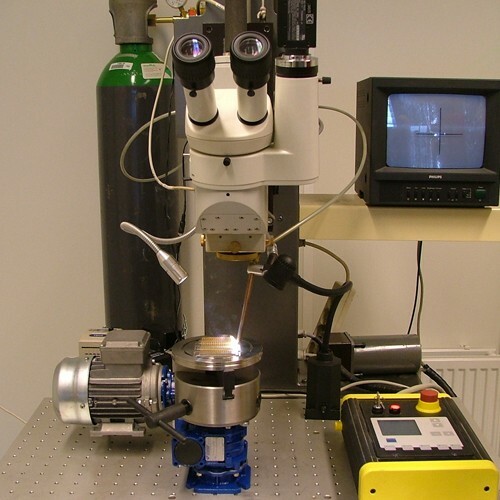 The most important benefit of laserwelding is the low energy input with very small weldingspot (0.3 mm). This is for precision welding applications that require a lower welding temperature to protect the seal joint. Should you not have a modern leak detector or another method for detecting leaks within vacuum chambers, gas handling systems or for component testing, at your disposal, then allow us to perform the leak detection for you. With our dry helium leak detectors we can test to ensure your systems or components are leak tight to 10(-10)mbar l/sec. 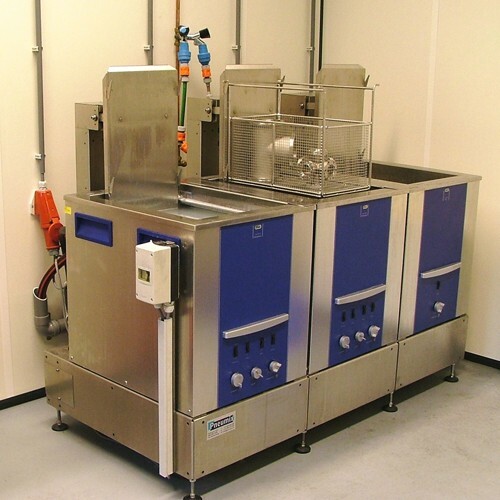 All our products are cleaned after welding by ultrasonic cleaning with soap solution and demineralised water at 80°C. 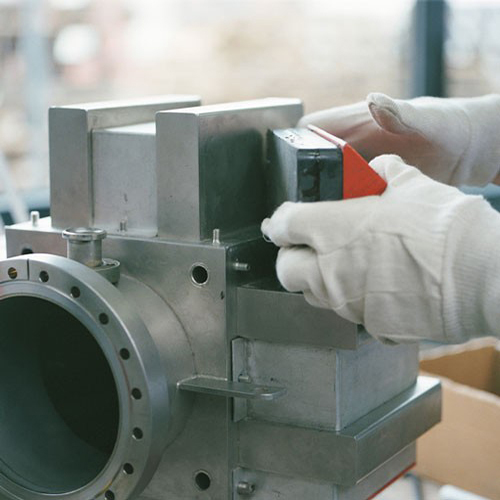 We offer you our services (scheduled preventive maintenance, emergency repairs and full revisions) on your vacuum equipment: such as oil diffusion and ion getter pumps, vacuum measurement equipment and complete system build up. We can also help you solve your vacuum and cryogenic related problems. 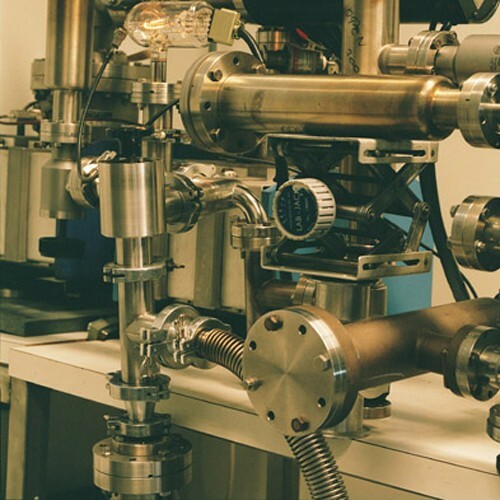 We can design and build a complete mass spectrometer system for you based on our 35 years experience in this field. 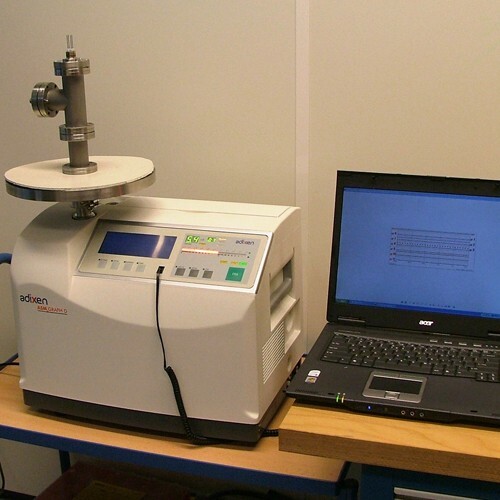 We also can help you to analyse your process in your vacuum system with our in house UTI mass spectrometer system. We provide you with our repair and recalibration service on all types of electrical equipment, vacuum measurement controllers, ion getter pump controllers, automated systems and power supplies.